will add Allen Stone as a favourite (for later quick retrieval). will allow Allen Stone to be shared. My Music is the music that you have uploaded/downloaded/chosen to listen to. The (an ‘E’, which appears in red in iTunes) means that the music contains ‘explicit content’. The means there are more options available. There are many other cloud symbols, their meanings explained at Apple. is the volume control. Slide (drag) to increase/decrease the volume. If I’ve missed any, or provided inaccurate explanations, please comment below. If using iTunes Match, you can force iTunes to upload “dotted cloud” tracks by going to File > Library > Update iCloud Music Library. It means the lyrics are clean, aka not explicit. No swear words. They are probably beeped out or replaced. Can you please tell me how to move songs up or down in playlists. It shows an edit feature that works in an old playlist, but not since I updated to 9.3.1. Thank you. After selecting the playlist, select ‘edit’ as you describe. If on an iDevice, touch the song on the right edge, and drag it to your required order. If using OSX, there is no edit. Select the playlist, select ‘songs’ (in the top right corner), and then drag the song with your mouse/trackpad using again, the right edge of the song. What you say does work that way in my old playlist in version 8.4 as I noted, but does not work in the 9.3.1 version. That’s the problem, and I wonder if Apple is working on a solution for the new version. That’s bad luck 😂. Apple has let you down. All works fine on my iPhone 5S. There’s a new version of IOS out today (9.3.2). Fingers crossed that it fixes your issue. I was buying a song and then I ran out of data…now it’s written ‘purchased’ but it’s not playing what does this mean??? And when will it play??? What should I do??? I am on Apple Music, and cannot replicate your problem. For me, in ITunes Store, my purchases have a ‘cloud’ that I can touch to redownload them. [I’m assuming your on IOS and not OSX]. I can redirect you to Apple Support on your issue (I think) at https://support.apple.com/en-au/HT201272. Good luck. You could visit an Apple Store; I found them most helpful. I need some more information to try to assist. What screen are you in (e.g. playlists, up next, etc)? What version of IOS are you using (e.g. I have an old iPod that isn’t compatible with the latest version of IOS)? 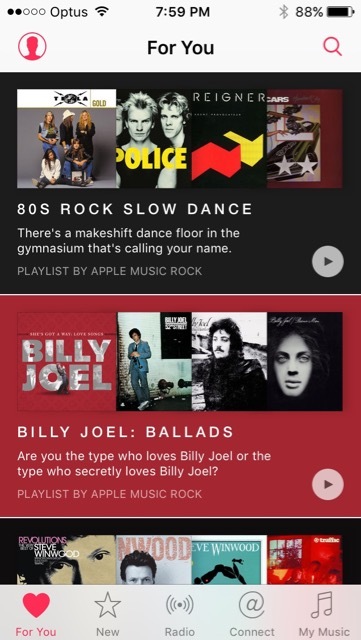 What are trying to do with Apple Music at the time? Often a box with a tick in it means that you have selected it (for later playing or editing). I think it means the tune has been downloaded to the device, if absent the tune is still in the cloud. Greg…could you confirm please? Thanks for your help Stephen. I can’t find the icon on my device, or with a search of the internet. Apple has a page of icons used in Music and iTunes (https://support.apple.com/kb/PH19453?locale=en_AU), and it isn’t there either. On my iPhone in Music are two arrows one on top of the other, going in opposite directions. What do they do? I can’t find what you are describing. In which section of Apple Music is the icon you describe, and what happens if you touch it? Opposing vertical arrows normally indicate that there is a list of more items that will be displayed if you touch the arrows. What does the symbol of an iPhone mean beside SOME of my playlists in the Apple Music app on my iPhone 6? 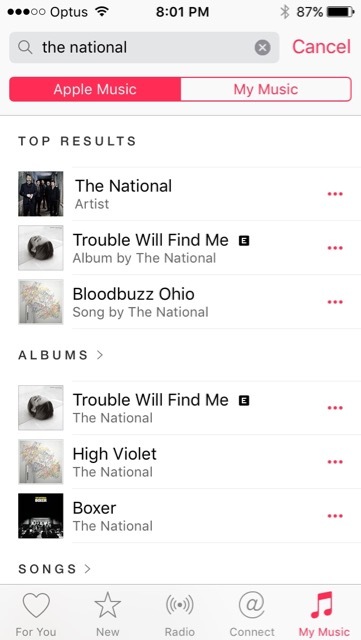 Why does that symbol (the iphone with a check in it) appear next to some songs and not others even though they were purchased and are from the same album (and was there previously)? Just had several songs that were missing that symbol and could not play them in my car. Happened before but I can’t figure out why or how to fix it. Thanks for your help. That symbol from what I believe, is to indicate that the song has not been downloaded to your device. When on your wifi, you should be able to click on a dotted cloud to download it to your device, so that you can play it offline, such as in your car. BTW, I’m no expert. I put up this webpage because I found all the iTunes/Apple Music symbols confusing and unexplained. People keep asking me for help, and I try to, but I’m no expert. In fact I’ve noticed Apple themselves have checked out my site, and created a similar (and most likely more comprehensive) webpage on their Apple Support Site. Thanks for the reply. Actually, I think it’s the other way around though. The songs that are missing the symbol are not on the device. I’m trying to figure out why they disappear all of a sudden and how to get that to stop happening. I’ll have to try searching Apple support again. What is the symbol that Looks like 2 arrows making a circle but not intersected like shuffle. If the symbol is rotating, it means that an operation *eg downloading) is in progress. If it’s not rotating, and the two arrows form more of an ellipse than a circle, and is next to the ‘shuffle’ symbol, then you are right. It does mean repeat. It can mean repeat only the current track, or the entire album, depending on how many times you press the symbol. Just to say thanks for this helpful site – it answered my question! Wow! Thanks for the feedback. Very much appreciated! HI Greg—thanks for your help with symbols. I find the whole procedure on iTunes fairly hard going, I generally manage to stumble through to buy a couple of songs. Help in iTunes does not do a lot for me, perhaps you could lay out the buying procedure, I am on iOS 9.3.5. I agree with you Stephen, and many others do as well. 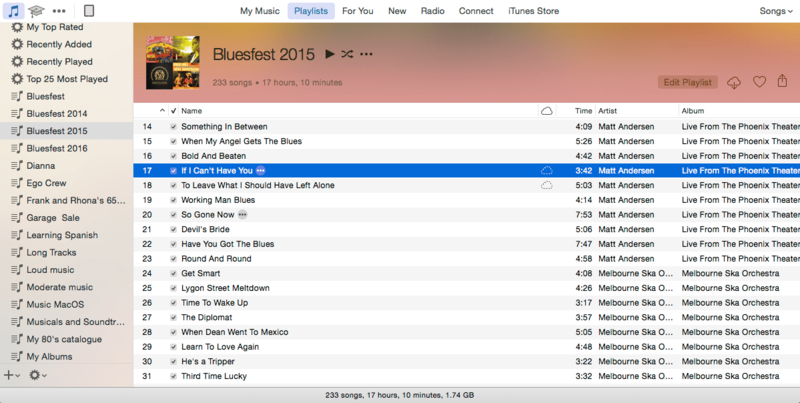 iTunes has lost it’s way, and should be split into smaller programmes. 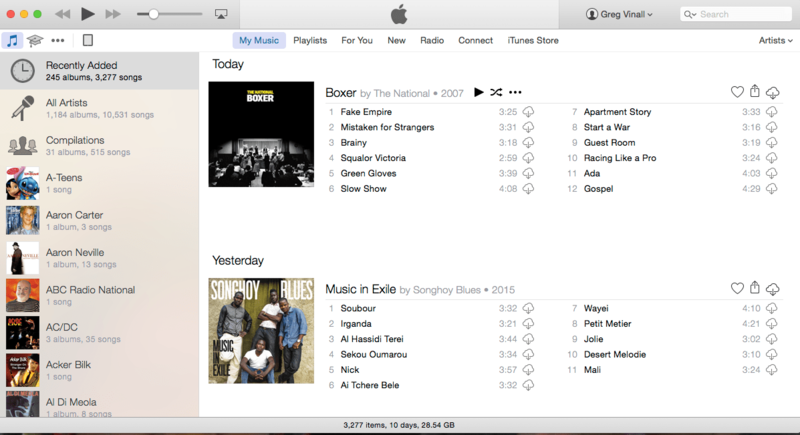 For example, on IOS, ‘Music’ has been pulled out of iTunes, while on MacOS, this is not the case. I feel for you, but this issue is beyond me. I suggest you post to Reddit. The users of this site are very knowledgeable. Just ignore the downvotes, etc. Users are trigger happy there. Good luck. What is the meaning of the symbol “!” (with a circle around it) when it appears to the left of a particular song on my playlist? The song cannot be located. It may have moved, or been deleted. See the apple site. 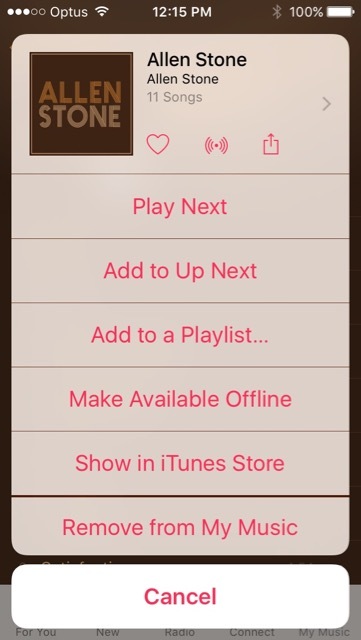 When playing songs on an iTunes playlist on my phone, I often no longer see left or right arrows to skip to the previous or next song. Instead there’s a circular arrow with “30” inside. This skips within the current song. It will never go back to the previous song played, although pressing many times will make it go to the next song. I don’t want this feature. How can I get simple arrows to skip back and forward? Hello. thanks for the list. There is still an unexplained symbol. On the page where you are actually playing that song, there is a symbol similar to the shuffle symbol but the two lines don’t cros and there is a number 1 in the top Right corner of the symbol. Thanks. Hi Stella, by the sounds (pun intended) of your description, it appears that it is the ‘repeat’ symbol. When listening to an album, a number 1 in the top right corner indicates that the current track will be repeated. If the number 1 is not in the top right corner, then the entire album will be repeated. I hope that this helps. In iTunes library, I can drag (add) songs to my playlists that have the icon of a music symbol next to them, but not playlists with the icon of a wheel/sun next to it. Why? If I’m reading you correctly, the playlists with the ‘wheel/sun’ icon are smart playlists. The tunes in the playlist are defined by some condition. Hence you can’t manually add tunes to these playlists. To see the condition for the smart playlist, right click on the playlist and choose edit/modify/or something similar (I don’t have iTunes with me right now and cannot remember the correct wording. I hope that this has answered you question satisfactorily. Some numbers of an album have a star to the left of their number; e.g. ‘In a Sentimental Mood’ and ‘My Little Brown Book’ on the album: Duke Ellington & John Coltrane. Where do these stars come from? What do they mean? Thanks in advance! Good question Jaap! I had to do some research and experimentation in my library. Found the answer (I hope) here. The ‘star’ indicates that this song is very popular on Apple Music. BTW, a great choice of music and album you gave as an example! Love your taste in music.